Welcome to our holiday accommodation page. 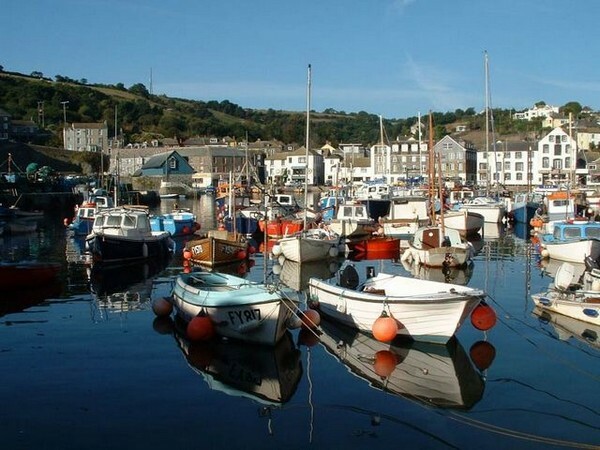 Here you will find information and links to Hotels, Self-Catering, Bed & Breakfast and Campsites for Mevagissey, Gorran Haven, Pentewan, Portmellon and the surrounding area. Mevagissey is just 2 miles from The Lost Gardens of Heligan and 7 miles from The Eden Project. 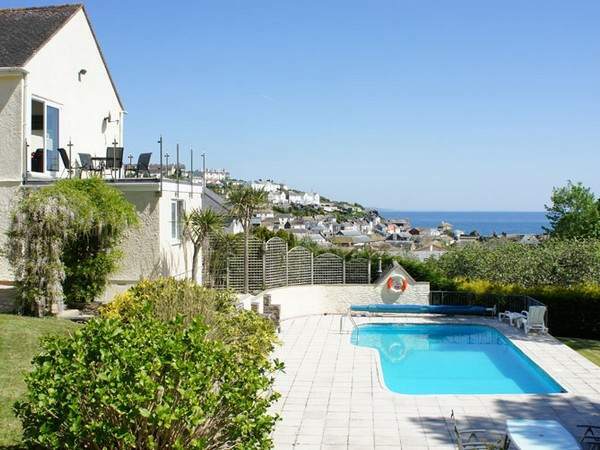 Book your holiday in Mevagissey direct and save pounds on Airbnb, Homeaway booking.com fees. Mevagissey. Superbly situated, Trevalsa Court faces south enjoying some excellent seaviews, embracing many miles of coast and headlands. The hotel's lovely grounds are immediately above Polstreath Beach, which is directly accessible from the garden. Mevagissey. 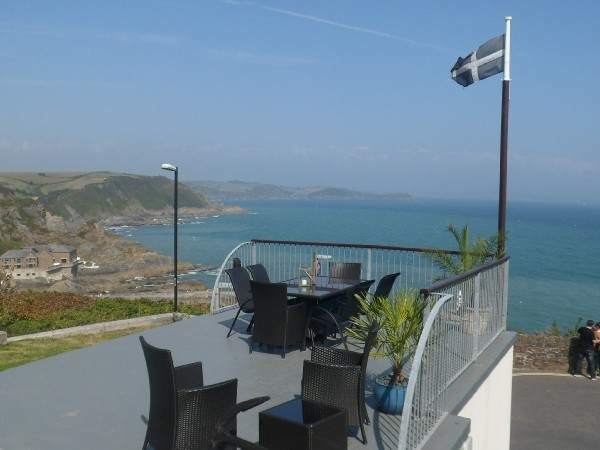 We are a small friendly hotel, located in a fantastic position, with panoramic sea views overlooking the beautiful and wild Mevagissey Bay in Cornwall. The hotel is only a few minutes walk from Mevagissy harbour, one of the most picturesque in the UK. Gorran Haven. 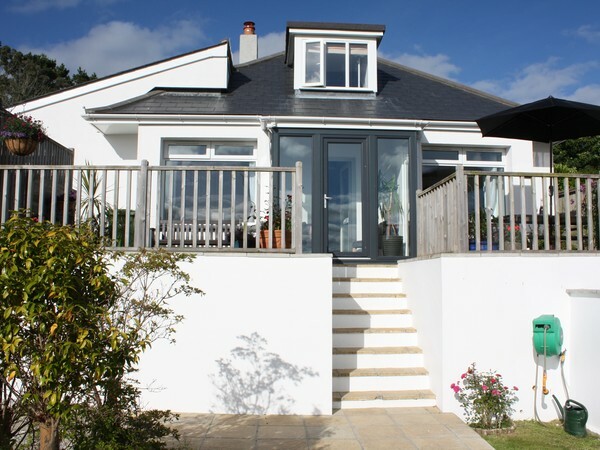 Stay in Style at The Llawnroc in Cornwall. 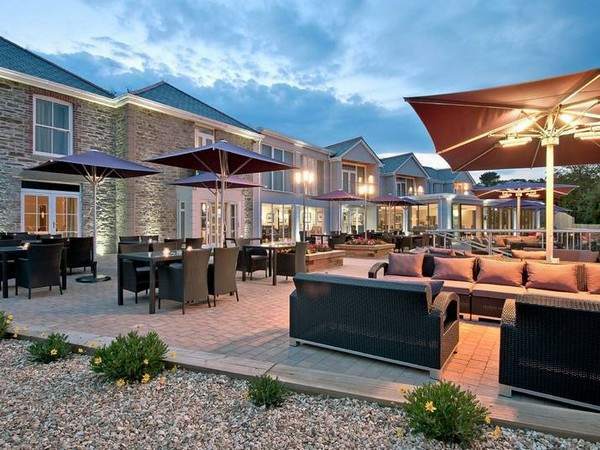 Enjoy luxury, comfort and a warm welcome at this stylish hotel on Cornwall’s south coast. Here you’ll find a romantic retreat where you can relax, unwind and enjoy the very best that Cornwall has to offer. Mevagissey. 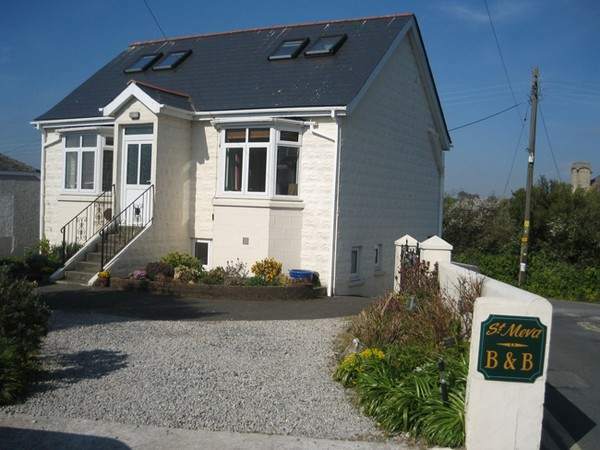 Welcome to Mevagissey Holiday Cottages. Our self catering holiday cottages come with 5 Star customer service. 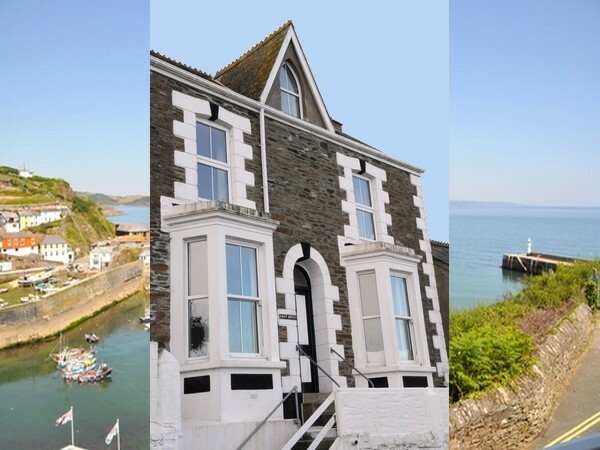 Quality holiday cottages run by a family agency located in Mevagissey, with over 20 years experience and local knowledge. 23 local properties. Portmellon. Bodrugan is a unique and well kept secret. 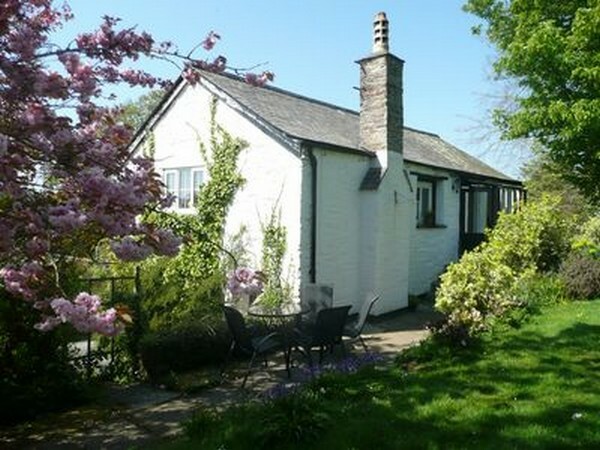 It is a family home and working farm with a special welcome to people on holiday who love the coast and the countryside. Sparkling sea and a rolling landscape provide the backdrop for your holiday. Mevagissey. 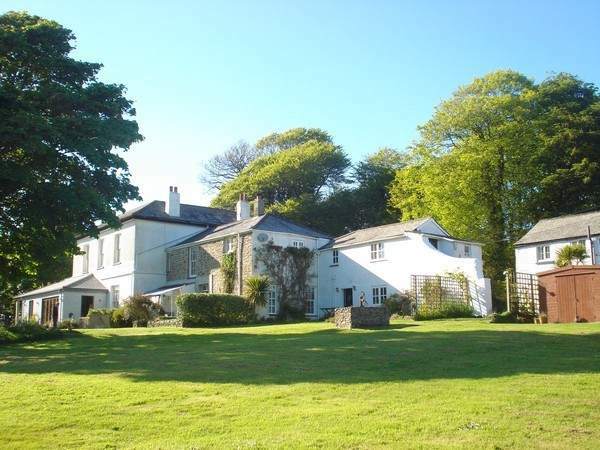 Mevagissey House is a former rectory standing in 3 acres of peaceful woodland gardens and is approached via a long tree-lined drive. There are four holiday cottages in its grounds. The Coach House, Goose Cottage, Sea Thrift and Glebe Cottage. Mevagissey. 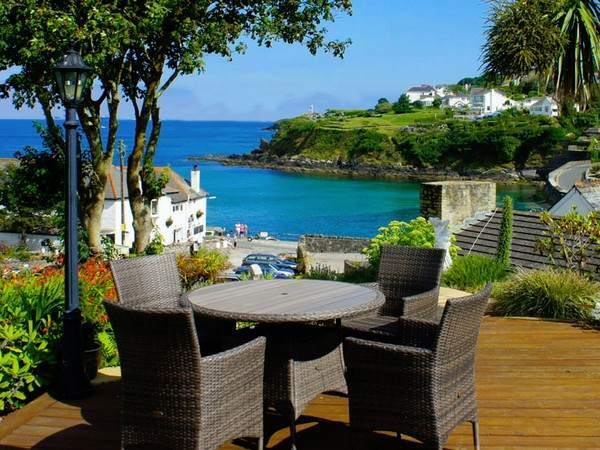 The first thing you notice as you walk up the steps to Cove House is the stunning views accross the harbour and down the coast to Fowey and beyond. These views are however not just from the front terrace, but also from both reception rooms and all 3 bedrooms. Mevagissey. Set in the gardens of Mevagissey House, the Coach House is a cosy detached character cottage, situated above the village and harbour, 5 mins walk from the coast path. Large garden, sleeps 2 adults and 2 children in bunk beds. Private parking and free wifi. Mevagissey. 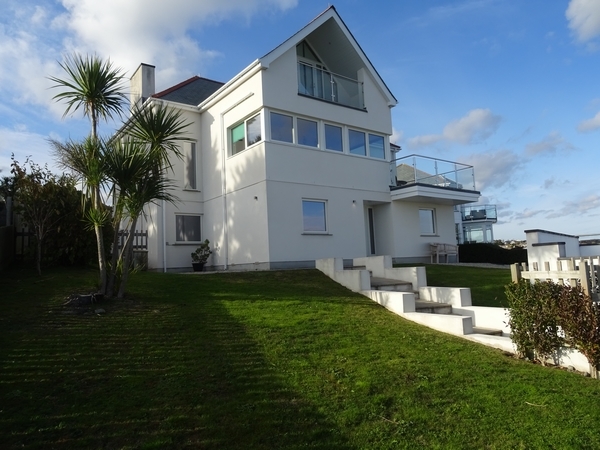 This contemporary light-filled house was built to extremely high standards and has been designed to make the most of its stunning location, with panoramic sea views. Visit England 5 Star self-catering, Sleeps 8, patio, parking, free wifi. Mevagissey. 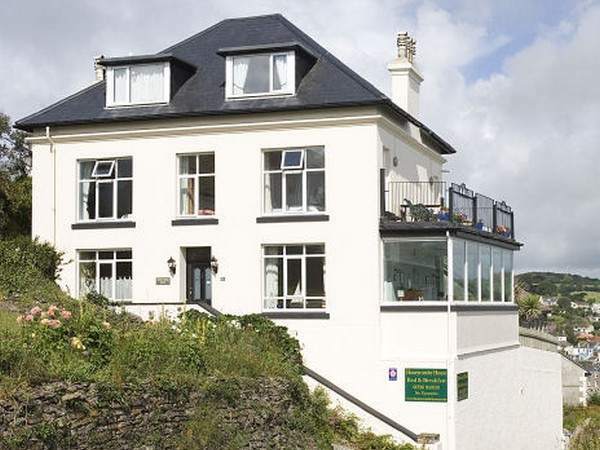 Honeycombe House Bed and Breakfast, is a family run Victorian house situated a few minutes walk from the centre of the picturesque fishing village of Mevagissey. 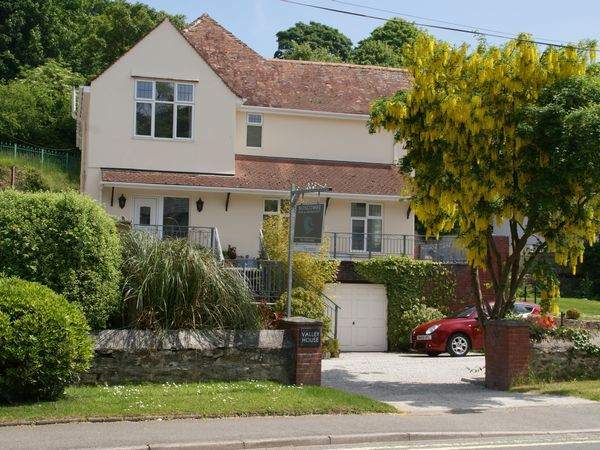 It is situated near the top of Polkirt Hill enjoying stunning views over the harbour. Mevagissey. Boscombe B&B is a large Edwardian property offering four well-appointed en-suite rooms. Conveniently situated, just a five minute level walk from Mevagissey harbour, set within a private garden with ample off street parking. Portmellon. 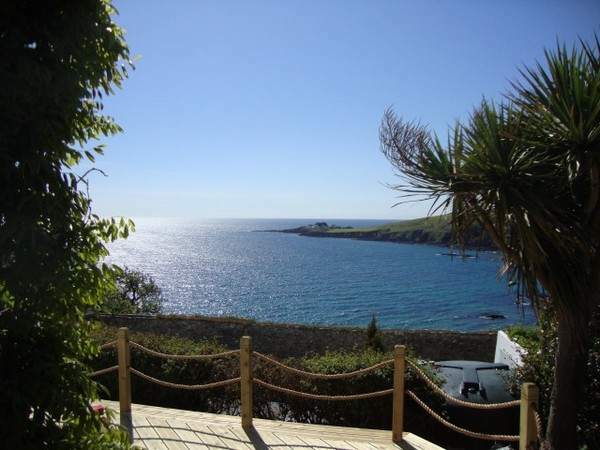 Bed and breakfast in Cornwall at the licensed five star award winning Portmellon Cove Guest House. Our luxury guest house in Cornwall is situated in a quiet, sandy cove near to the fishing village of Mevagissey (15 min walk). Mevagissey. 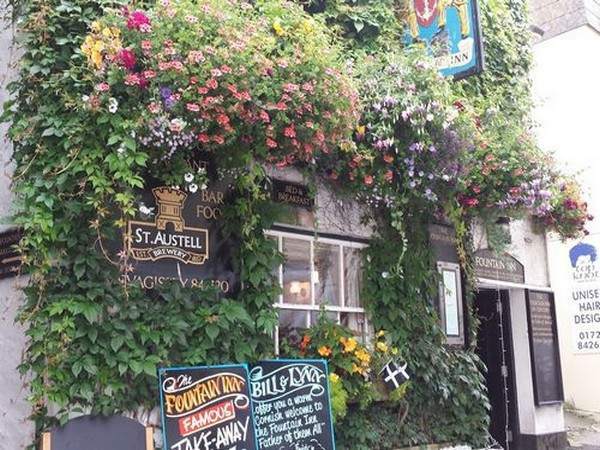 Billy Moore, Lynn and their staff welcome you to the Fountain Inn, a 15th century Inn that is situated in a narrow alley just yards from Mevagissey harbour. We have two bars, a restaurant and three double B&B rooms to rent. Mevagissey. Breakfast with a grandstand view of Mevagissey harbour and St Austell Bay, sampling local Cornish and homemade products from our menu. Our three warm en-suite bedrooms have powerful showers and comfy kingsize beds. Open all year. Mevagissey. Linton Guest House is a modern bed and breakfast offering stunning king-size en-suite bedrooms. Linton overlooks Mevagissey valley with plenty of secure off-street parking and yet only a ten minute stroll down the hill into the picturesque village and harbour. Mevagissey. 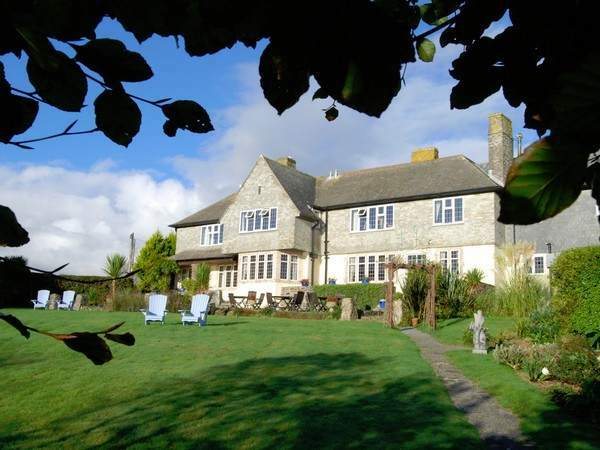 St Meva is a four star bed and breakfast that is situated at the top of Cliff Street and Beach Road with views out to Mevagissey Bay and the Lost Gardens of Heligan. We have free off street car parking and secure storage for bicycles. Mevagissey. 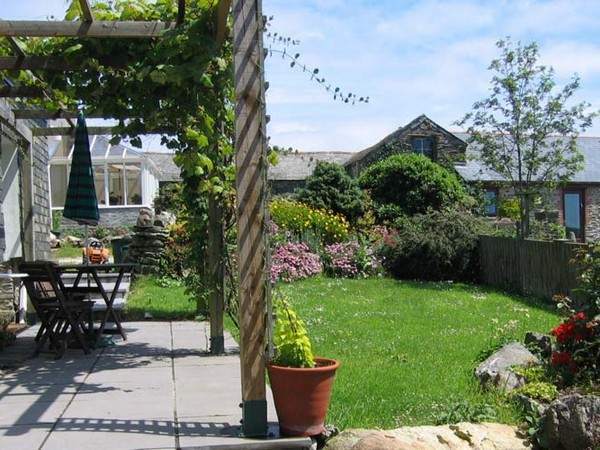 Escape to Wild Air Guest House on the South coast of Cornwall and enjoy the breath taking views across Mevagissey and St Austell Bays and more than 40 miles of stunning coastline. Onsite parking and breathtaking sea views.